The Stamp project is showcased on OW2 open source community booth #14 and also discussed during the research conference track. 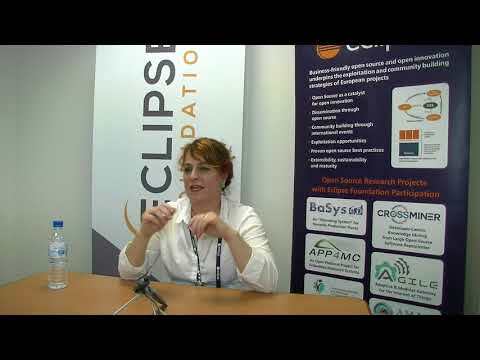 Caroline was also interviewed during EclipseCon France 2018, check out the video of her interview. EclipseCon France is the Eclipse Foundation's event for the French and entire European Eclipse community. You will have opportunities to learn, explore, share, and collaborate on the latest ideas and information about Eclipse technologies, the Eclipse Working Groups, and Eclipse member companies. EclipseCon France is all about community. Contributors, adopters, extenders, service providers, consumers, business people, and researchers gather to share their expertise and learn from each other. EclipseCon provides networking that lead to synergies in the community and opportunities to give and receive help on specific technical issues as well as business opportunities.